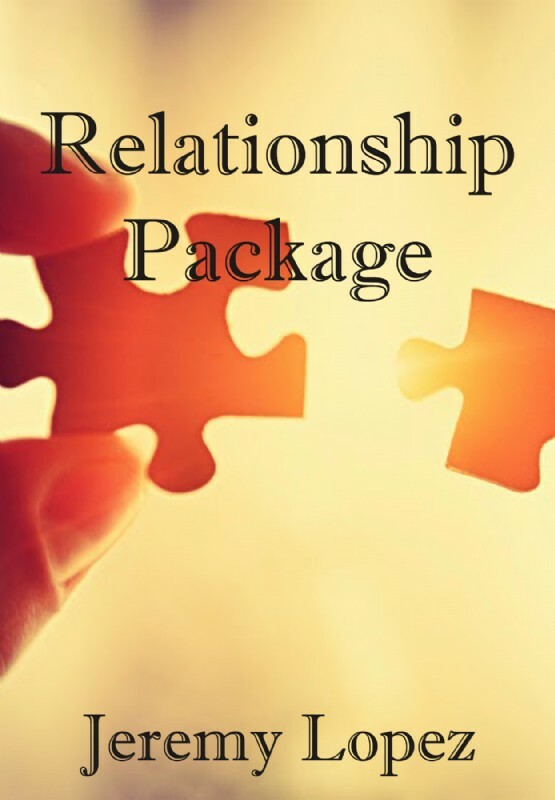 This package is designed for those who desire a healthy, Godly relationship with their spouse or even their girlfriend or boyfriend. Jeremy will teach you how to work through difficulties, hang ups and just everyday differences. This series is a MUST for those who want to attract, have and manifest the heavenly spouse you want! For millennia, mankind has harnessed the Heavenly power of the Law of Attraction to manifest desire. Now, in the very first book of its kind, new thought leader and world-renowned expert on the Law of Attraction Dr. Jeremy Lopez shares how the Heavenly power of attraction can be used to attract the love and romance you've been dreaming of. Are you tired of feeling isolated and alone? Are you ready to begin attracting more quality relationships into your life, in your search or love? Are you ready to begin enjoying the relationship of your dreams? Begin to harness the power of your own attraction to manifest the love of your life. Begin to become more attractive. Begin to view your relationships in a more exciting and adventurous way. Dr. Jeremy Lopez, considered by many to be one of the world's foremost leading authorities on the subject of the Law of Attraction, releases as a followup to his best-selling book "Attracting Your Godly Spouse" this comprehensive study guide as a companion to the best-seller, which includes author's notes and additional techniques not available in the original release. Dr. Jeremy Lopez, considered by many to be one of the world's foremost leading authorities on the subject of the Law of Attraction, releases as a followup to his best-selling book "Attracting Your Godly Spouse" this comprehensive study guide as a companion to the best-seller. Including author's notes and additional techniques and principles not included in the original release, this comprehensive study guide is designed to help you harness your own creative, attractive power and draw into your life the love and relationships you've been dreaming of. Including the time-tested and proven strategies of Dr. Lopez, this study guide will serve as a valuable companion to his best-selling book and will aid in helping you enjoy the love and romance you truly deserve. Dr. Jeremy Lopez, one of the world's foremost leading authorities on the subject of the Law of Attraction, releases as the follow up to his best-selling book "Attracting Your Godly Spouse" the workbook as a companion to his smash hit. Learn to harness your own creative, attractive power in order to attract into your life the love and relationships of your dreams. As a highly-anticipated follow up to his best-selling book "Attracting Your Godly Spouse," Dr. Jeremy Lopez releases the companion workbook as a tool to aid in attracting into your life the love and romance you've been dreaming of. This workbook, to be used in connection to the best-selling book, serves as a rigorous, eleven-day intensive training manual, with Dr. Lopez serving as your own personal guide and mentor every step along the way. By implementing the time-tested and proven strategies which Dr. Lopez has used with his clients for more than two decades, you will be inspired to harness your own creative power of attraction and will begin to draw into your life the relationships you've been dreaming of. In order to begin to raise your own creative, attractive power, you're going to have to take a long look in the mirror and discover all of the amazing qualities and gifts you truly possess. In "Attracting Your Godly Spouse: A Workbook in Attraction," Dr. Jeremy Lopez will instruct, encourage, and inspire you to begin to view all of your relationship connections in a much more powerful and spiritual way - through the eyes of the Creator.